There are numerous gardening guides and tips about harvesting fruits and vegetables that you may reference if you have questions about when and how to reap what you’ve sown. Planting, growing, and harvesting your garden is dependent on where you live but there is, most likely, an agricultural extension office and Website that can provide you with loads of appropriate information for the region in which you live. My instincts and eyesight are usually reliable enough to ensure that I’m harvesting only those vegetables and fruits that have fully matured, and I typically prefer to pick them in the early morning hours between six and nine a.m. 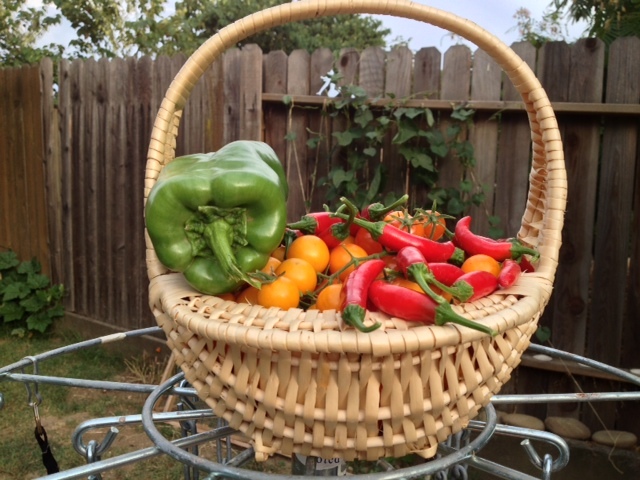 I had to wait until late in the day to harvest last night’s garden treasures but their taste and vibrancy were not adversely affected.